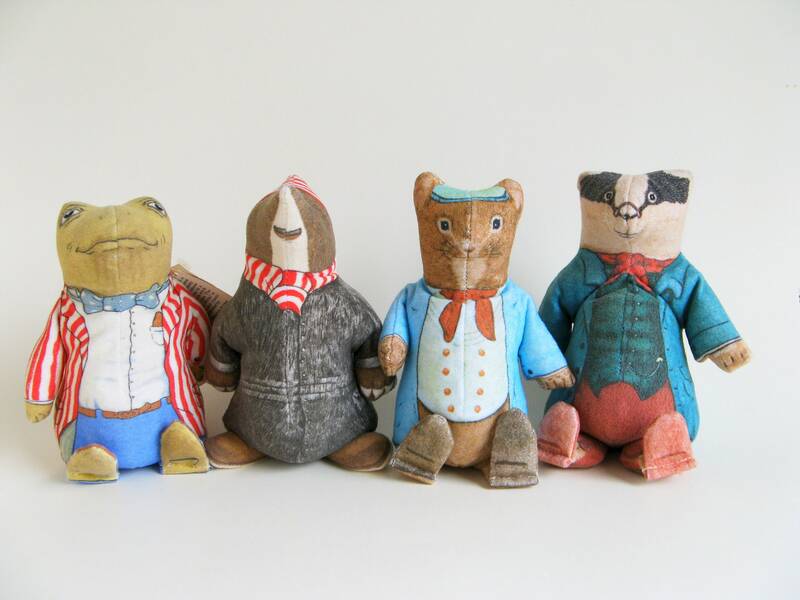 Rare set of vintage Wind in the Willows bean bag plush. All four characters including: Toad, Mole, Ratty & Mr. Badger. Made in the early 1980s by The Toy Works. Measures approximately 6 inches tall (15 cm). Mr. Toad has his original paper tag. They look to be in very good, gently played with condition. As described and perfect for my needs! These are the cutest toys on display ever. Their expressions are priceless and their period outfits are perfect. Mine are displayed on a shelf with other Wind in the Willows memorabilia.